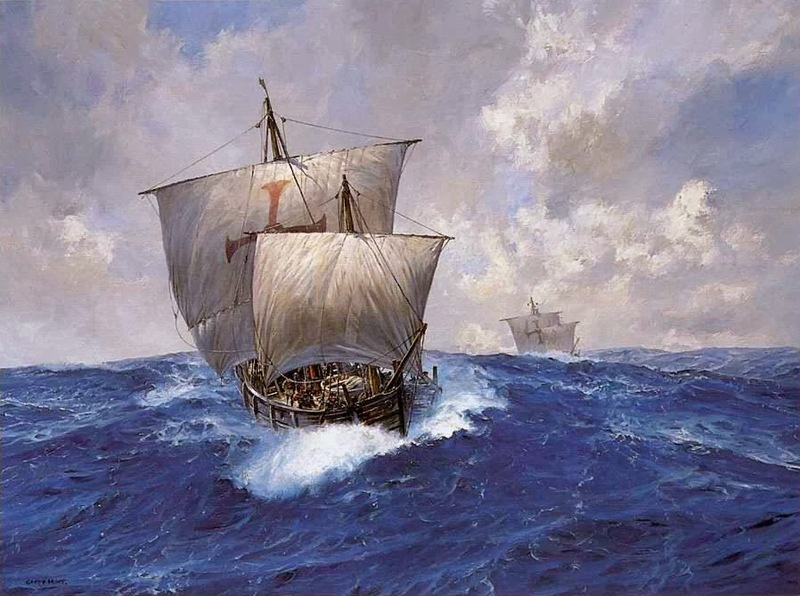 Though conventionally thought of as an explorer, Columbus might more accurately be described as an enormously influential (and lucky, perhaps even failed) entrepreneur. He pursued an unconventional idea, took a risk, made a huge miscalculation, got lucky, and parlayed all that into wealth from product lines he hadn’t anticipated. More importantly, his journey fueled the eternal sunshine of the entrepreneur’s mind, writ large. If he were Steve Jobs we’d say he ‘created a platform’ for others to dream and build and change the world. While we do retain some interest in hearing about the idea – the details in the pitch reveal important things about the entrepreneur – we agree about the primacy of some of the intangibles in a good long-term partnership. To cite just a few about which we’ve written: integrity, transparency, trustworthiness, enthusiasm and tenacity, self-awareness, and flexible persistence. Because much of the savings that can drive investment and economic growth over time comes from the relatively small fraction of individuals in the top income tax bracket, permitting a tax increase on high-income earners would be a significant disincentive for savings… This decision [to raise taxes on interest, dividends, and capital gains] will affect not only the near-term outlook for the economy but savings and investment decisions for the long-run as well. Consumer spending has its place, but it is not the answer to every economic question. By disparaging investment and in particular the taxpayers who account for most of that investment, Congress is biting the hand that feeds long-run economic growth. VC Dispatch has some fun with the old quote about The Golden Rule: he who has the gold makes the rules. But they also ask: who has the gold? We’ll second that with our own twist on an old quote: “The fate of control is that it always seems too little or too much.” When term sheet negotiations turn to the topic of control, the cliche is that VC firms may ask for too much while entrepreneurs are inclined to offer too little. Getting this piece right isn’t so much about control as it is about chemistry. If VC-CEO partnerships are like marriages (as is often said), then the issue of control needs to mirror that of a healthy marriage. It’s not about 100% control, or even 51% control – it’s about playing to each others’ strengths and making the concessions and adjustments that a given situation demands. One spouse may be better at particular types of decisions, the other at handling certain types of tasks. At other times an issue will just be more important to one than the other. It’s hopefully a long term relationship, and so over time you each learn when to take your shot and when to pass the ball. Twitter Inc. as an example of a start-up that has brought in more business acumen to help it craft a business model. Indeed, Twitter co-founder founder Biz Stone said at the conference that the inclusion of more business-minded people was an essential factor in the acceptance of $135 million from investors this year. Twitter’s investors have been careful not to intervene too much, but with that big investment there is now more pressure for the executives to deliver a working business model. For Jeff Glass, a managing director with Bain Capital Ventures, the debate over power has defined much of his career as he was a business founder and entrepreneur long before joining Bain. And, in wrestling between needing money and wanting control, he said the steps being taken at first meeting shouldn’t be taken lightly. Jeff Glass makes a good point above. Entrepreneurs who are raising growth capital (i.e. bringing on a long term partner) as opposed to selling their businesses (i.e. get the best valuation) should invest a lot of time conducting due diligence on their prospective financial partner. A credible partner will let you (indeed, encourage you) to talk to as many of their previous entrepreneur partners as you want to get a feel for what they are like to work with. Entrepreneurs should ask for references from successful investments, unsuccessful investments and current investments. Ask for the venture firm’s entire list of previous and current investments and randomly call a number of them. Find some independent sources on your own who weren’t provided as references but know the venture firm.